It’s the holidays, so ‘tis the season for celebration and good cheer. Whether you’re commemorating Christmas, or opening a bottle to revere the New Year, instead of just popping a cork, how about trying something with a little more panache? I’m here to introduce you to the art of sabering Champagne. 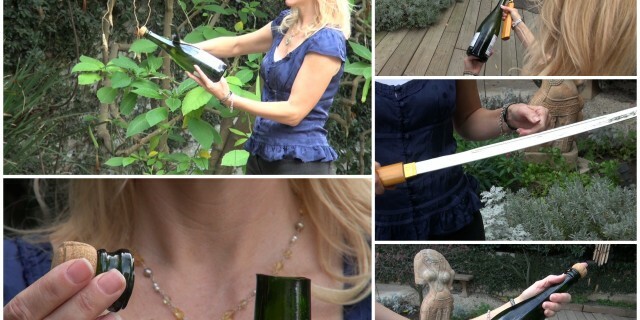 Here’s my video on Sabering a Champagne bottle. • Sabering a bottle may be dangerous, take precautions. • A saber is great, but any sword/large knife will do. • The bottle must be VERY cold – under 40°. • Remove the foil and the muselet (cage). • Hold the bottle with your thumb in the punt (the indentation at the bottom of the bottle); this protects your hand. 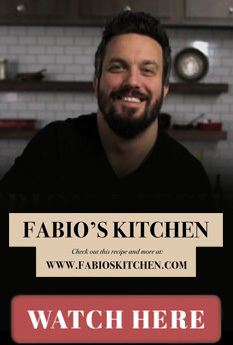 • Locate the vertical seam on the side of the bottle, and aim for the intersection of that seam and the lip – that’s the weakest part of the bottle. • Slide the sword along the seam, and strike the lip with the blunt edge of your sword. Hit it straight – not on an angle. • Watch where you aim – the cork and glass ring will come off with some force, and could travel quite a distance. If that hits a person, it could hurt… a lot! • The pressure of the escaping gas should blow any glass bits clear of the liquid, but check when you pour. And don’t touch the cut end, it’s very sharp! I hope you enjoy the video, and have happy (and safe) holidays!